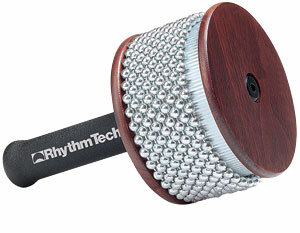 We designed and patented the original Rhythm Tech Tambourine back in 1980. 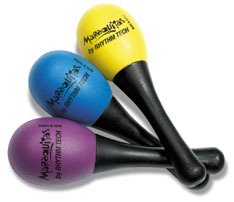 A universally acclaimed revolution that permanently changed the way the instrument would look and feel, it has remained the standard for both professional percussionists and musicians of every level for over 25 years. 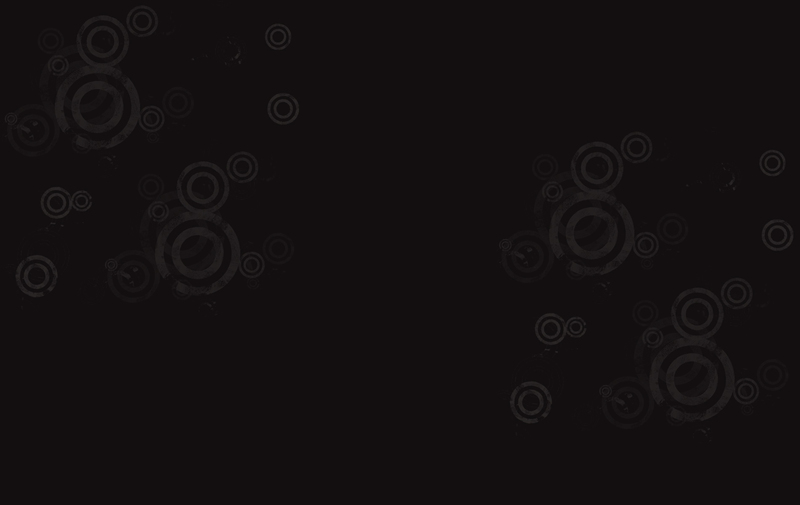 As good as it is, we always thought it could feel and sound even better. The only thing holding us back was the available technology of the times. 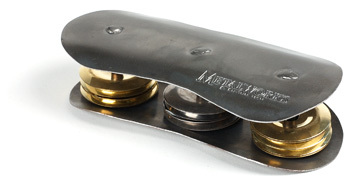 Now after 25 years the technical possibilities have caught up with our vision. 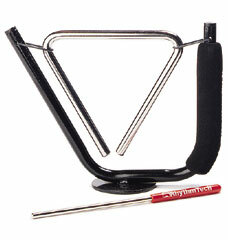 We redesigned the handle, changed the jingle layout and the balance point. 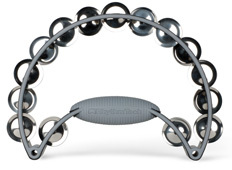 We gave it a unique cushioned over-molded GLS playing edge, and added more than 15 other design innovations to create the new Rhythm Tech “Pro” Tambourine. 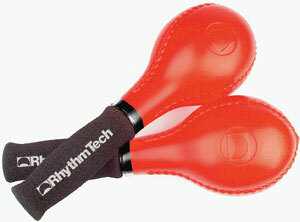 The Pro has a lighter, more responsive and comfortable feel with a sound that can only be described as “turbo-charged”.